thanks you for your service to our country. We have dedicated this page as a resource to assist you in your civilian career. Whether you are on active duty, anticipating separation, recently discharged, returning from deployment, or long-time separated from your military career, we are interested in you. As a U.S. military veteran, you have developed the skills and qualities we desire. To assist you in your transition and ensure your military experience is most effectively aligned to a civilian position, we have partnered with Career Builder to offer you the MOS Translator tool. Opportunities are not limited to those provided through the tool. For a full listing of potential jobs, view our available positions. Not sure how your military skills translate to the civilian world? 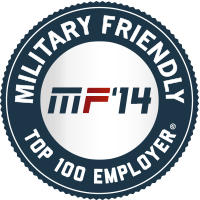 Use your military job code (MOS/AFSC/Rating) to find related civilian occupations.